Born June 16th, 1963 in Toronto, Canada, Laurie's strength lay in creative writing throughout her school career. She was also intrigued by the music industry, and upon graduation opted to pursue a senior management position in marketing & concert promo. Happy in her job among a slew of musicians, she never considered leaving until she was diagnosed with a sudden and serious health crisis. While undergoing treatment she returned to her love of writing and secured several small publishing successes that eventually led her to writing novels. 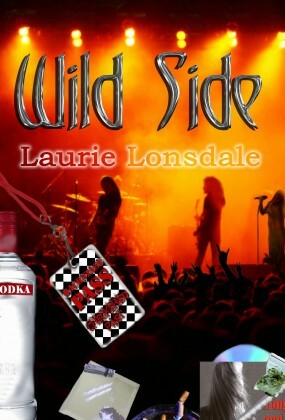 In addition to her works with WCP, she has four other women's fiction/suspense novels to her credit, including Wild Side', a fictional rock ‘n’ roll romp loosely based on experiences and observations while working in the music business in the late 80's/early 90's. The book was reviewed by several celebs & well-known music personalities, and was voted among the Top Ten Fiction Novels of 2004 in an international readers’ poll. With the demise of the original publisher, ‘Wild Side’ will soon be re-released by Whiskey Creek Press. In the meantime, she has begun work on her sixth novel, a psychological thriller entitled ‘Revelations’. Expanding on her love of rock music, Laurie recently teamed with award-winning vocalist Heidi Propp, to co-write Propp's current CD, ‘Strong and Wild’, distributed by RDR Music and CD BABY.com. All songs are available as digital downloads from Apple i-Tunes and Sony Connect, and from Verizon Wireless as ring tones for cellular phones. As an active member of SOCAN and ASCAP, Laurie enjoys participating in various music conferences in addition to promoting her written works at an assortment of book venues.